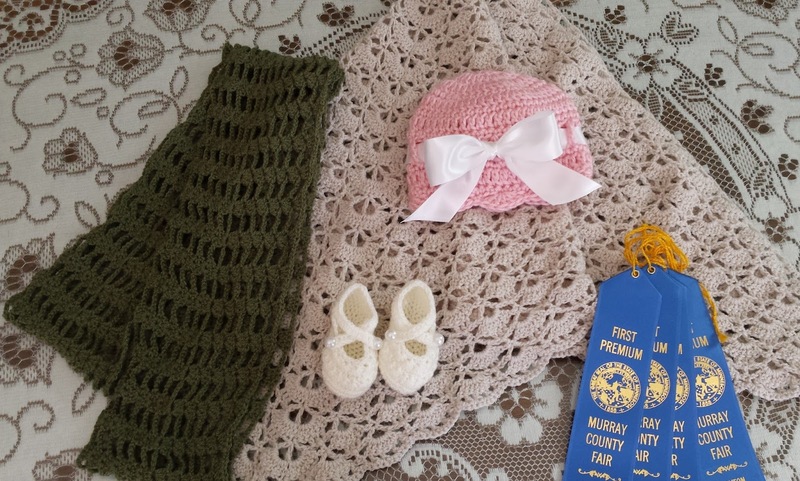 Every year I enjoy entering a few crochet projects at our county fair. I wasn't able to go to the fair this year because I needed to stay home and rest, but I had fun participating by sending in my entries. For the first time this year, I received first place on all of my entries! So that was kind of fun. But there aren't very many entries, so who knows, I might have been the only one to enter in these categories! The patterns for the baby booties, baby hat, and scarf are from Crochet One-Skein Wonders. This book has 101 patterns that can all be made with one skein of yarn or less. It is my go-to book for patterns! 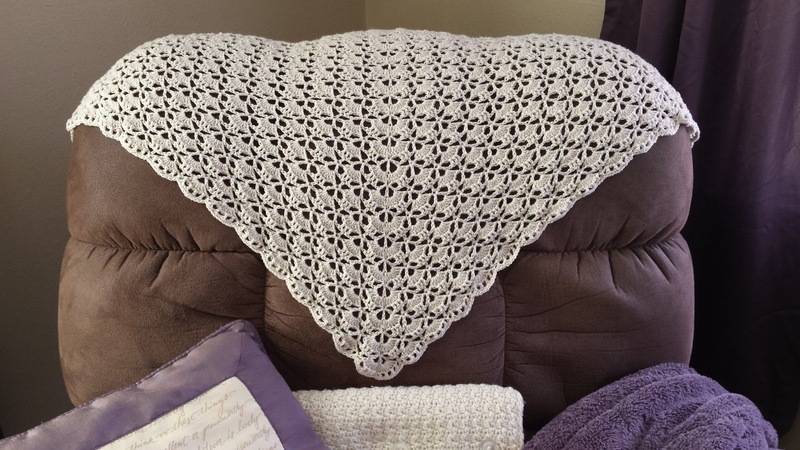 This is the South Bay Shawlette that I shared with you back in August. I entered it in the fair, and then a few weeks later I mailed it to a dear friend of mine. This baby hat, and the baby booties pictured above, have been given to a friend who recently had a baby girl. 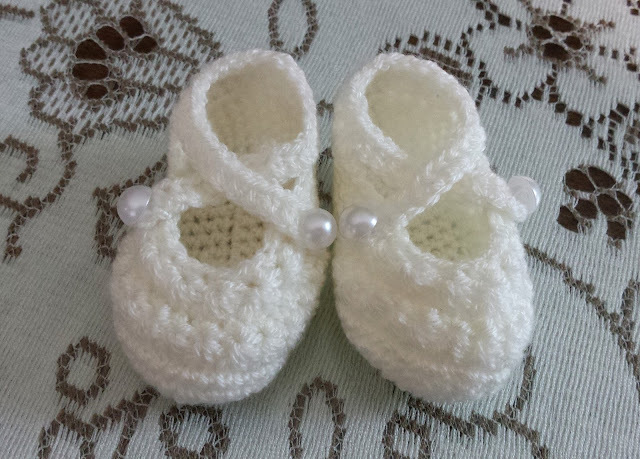 I love making baby hats and booties. 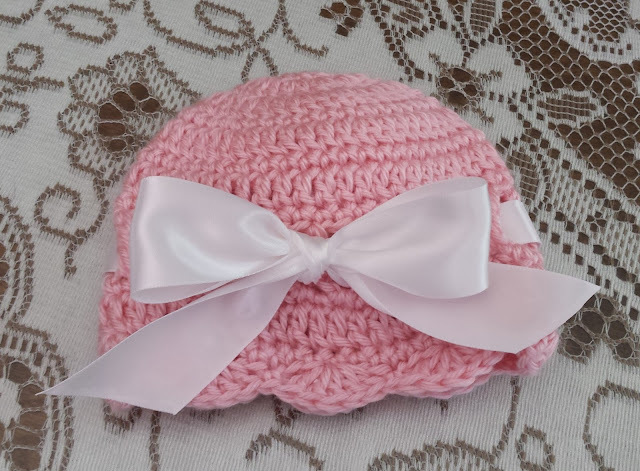 They are quick and cute and make great baby gifts! 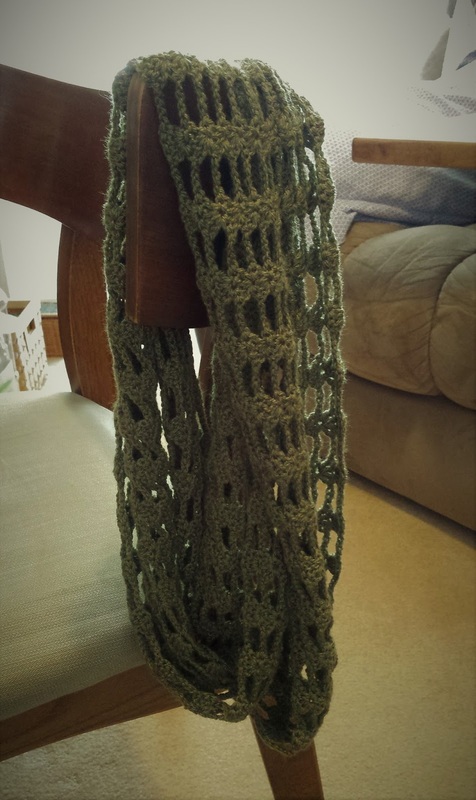 Although technically this is named a cowl, I think it looks more like an infinity scarf. This will be used as a gift for a friend one day soon. Just as quick as my crochet gift stash was filled up, it is now quickly being emptied out! It's time to start crocheting again! I enjoy crocheting at night when I go to bed to rest. However, I have not been able to crochet as much in the past year or so. 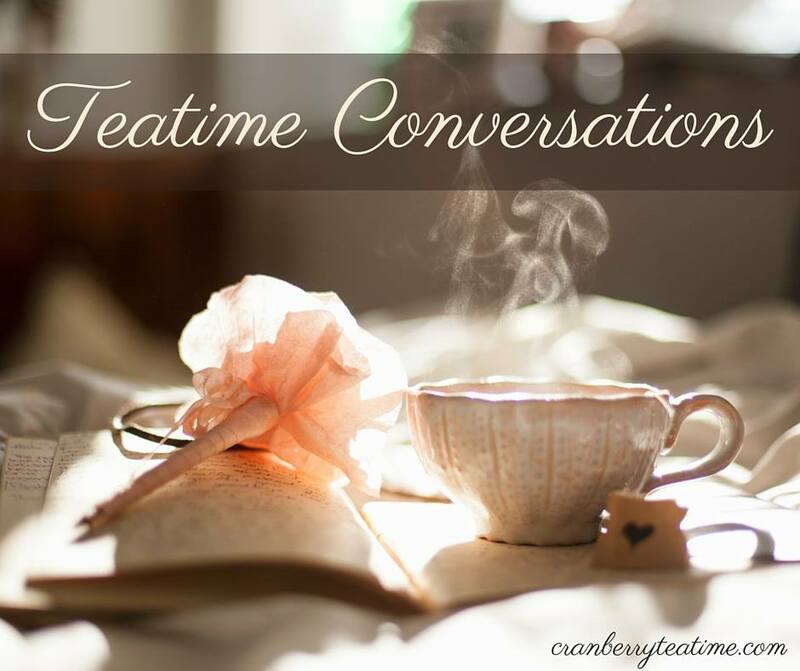 I have been able to do more on the afternoons when I am up, which has been great! But it also means that by the time I go to bed at 6:00, I am worn out. My hands and arms are often too tired to crochet, and sometimes I fall asleep and take a nap in the evening. But on the evenings when I have strength left in my arms, I like to keep them busy by crocheting. What have you been doing lately to keep your hands busy? Are their any projects or crafts you are working on?